Your cloud phone system on your desktop. 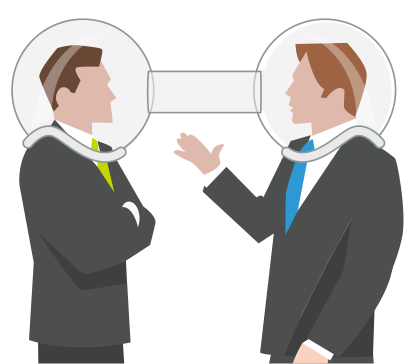 Reaching out to a co-worker or customer is easier than ever. Click directly on a phone number in your directory or web browser to immediately initiate a new call or chat session with a contact. 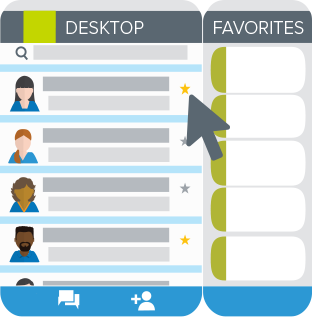 Jive Desktop lets you search your corporate directory contacts by name, organize them into a favorites bar, and add new contacts for easy access. Don’t waste another second playing phone tag. 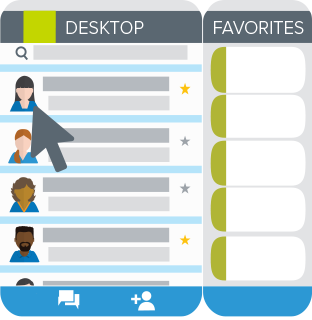 Jive Desktop comes with presence monitoring, enabling you to see when a contact is available for a phone call. Simply glance at your favorites sidebar to see if they’re on the phone or not. Integrate your CRM and your phone system. 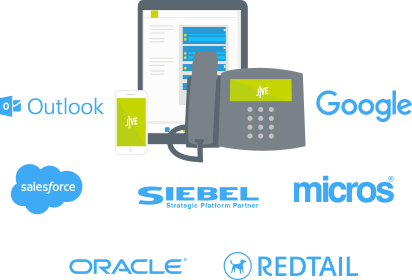 Jive Desktop features integrations with leading CRM (customer relationship management) software like Redtail. 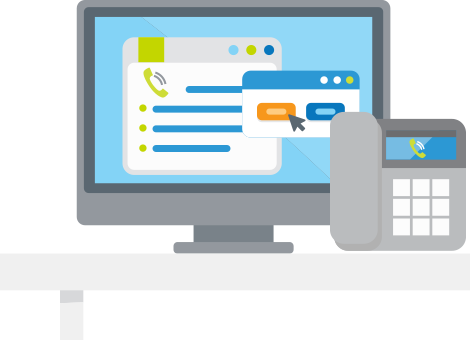 When a call comes in, Jive Desktop searches and matches the caller to the CRM’s contacts, allowing a screen pop which brings up the caller’s name, account information, and any call logs.